Ian Carr has been at the forefront of British modern jazz for over 40 years. He started playing trumpet in his brother Mike’s band, the EmCee 5 in the very early 1960s. This bebop-influenced band even boasted a young John McLaughlin in its lineup at one point. He moved down to London from his home turf of the North East of England and then met up with various jazz musicians, including sax player Don Rendell. He teamed up with Don and together they formed one of the most influential British modern jazz quintets ever heard. The Rendell-Carr Quintet was something of a jazz supergroup, and although they only recorded five albums, for the EMI Columbia Lansdowne series label, these still command high secondhand prices on eBay. Apart from Rendell and Carr, the Quintet also featured Colin Purbrook on piano on their first album Shades of Blue only. 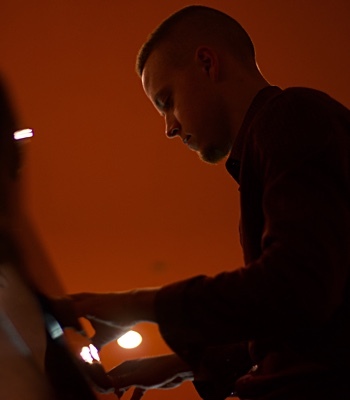 Pianist Michael Garrick was recruited from their second album Dusk Fire onwards, and penned many of the compositions recorded. The Quintet was completed by Trevor Tomkins on drums and Dave Green on bass. Unusually and significantly, the Rendell-Carr Quintet was really the first British small jazz group to record only their own compositions, many of which were lengthy and distinctive. During the 1960s, Carr recorded not only with the Rendell-Carr Quintet, but also with Michael Garrick’s various groups on some remarkable albums including Promises, Black Marigolds and The Heart is a Lotus. 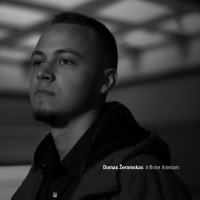 He also recorded with Joe Harriott and Amancio D’Silva, notably on Integration and Hum Dono. 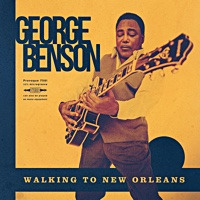 BBC Radio 1 DJ Gilles Peterson recently selected no less than two tracks by the Rendell- Carr Quintet (”Black Marigolds” and “Dusk Fire”) for his first British jazz compilation album Impressed, which also featured Tubby Hayes, Ronnie Ross, Mike Garrick, Joe Harriott, Graham Collier and Harry Beckett. The Impressed series is a very important showcase for some of the great British modern jazz of the 1960s and 1970s, most of which had not seen the light of day since their original vinyl releases. Peterson clearly appreciated the importance of the Rendell-Carr Quintet. Just prior to the Rendell-Carr Quintet split-up at the end of the 1960s, Ian Carr had attempted to move the Quintet into more adventurous, experimental areas employing the likes of percussionist Guy Warren. As witness to this mood for experimentation, Carr cut a record a few years earlier which was much freer than anything he had done before. Springboard, released on the Polydor label, is a now long-lost LP that offered some intriguing compositions, some by Carr, including a version of “Crazy Jane.” Although the album’s artwork did not mention this, the LP’s vinyl labels actually had printed on them “The Ian Carr/Jeff Clyne Quartet.” However, the album cover was more egalitarian and displayed the names of the other two musicians, Trevor Watts and John Stevens, in letters of equal prominence to those of Carr’s and Clyne’s. This album could have been seen to be and, in many ways was, an early Spontaneous Music Ensemble recording. By late 1969 the opportunity arose for Carr to execute these groundbreaking ideals for himself. He met up with keyboard, baritone sax and oboe player Karl Jenkins, who had been playing and composing in Graham Collier’s early bands. Together they recruited Brian Smith on saxes, Jeff Clyne on bass and John Marshall (who occasionally stood in for Tomkins in the Rendell-Carr Quintet). 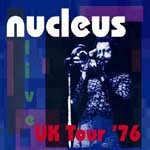 They were joined by guitarist Chris Spedding and in 1969 Nucleus was born. 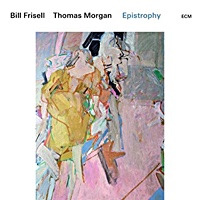 Their first album, Elastic Rock on the new “progressive” Vertigo label, produced with the assistance of Peter King and Ronnie Scott Productions, was greeted with great critical acclaim and sold well for a jazz album. This may have been due to the fact that nothing like it had ever been heard before. It was truly iconoclastic. Featuring many of Jenkins’ compositions, Elastic Rock did not share the same territory as any other band either in jazz or rock. 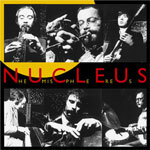 The album was both subtle and yet had a pronounced and deliberate blues/rock feel and in 1970 Nucleus won the award for top group when they represented the UK at the Montreux Jazz Festival. 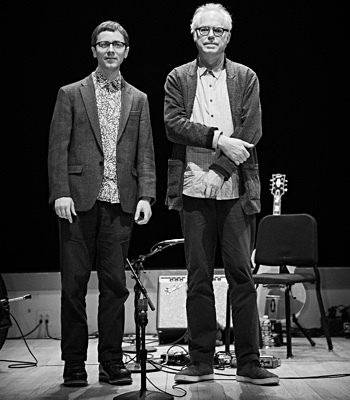 Their first album was followed by We’ll talk about it later and the magnificent Solar Plexus, which was composed primarily by Ian Carr following his receipt of an Arts Council bursary (only the second such grant in jazz, the first being awarded to Graham Collier). Then came Belladonna and Labyrinth (another Carr epic which boasted a regular band augmented with the likes of Norma Winstone, Gordon Beck and Tony Coe). Original Nucleus members such as Jenkins and Marshall departed, “defecting” to Soft Machine, others such as Jeff Clyne joined Gary Boyle’s Isotope and Brian Smith returned to his home country of New Zealand. Others replaced them throughout the years such as keyboard player Geoff Castle who remained with most of the mid to later period Nucleus lineups and indeed appeared in the last Neil Ardley + Nucleus gig at the Queen Elizabeth Hall in London. Another seven Nucleus albums followed including Under the Sun, Snakehips Etcetera, Alleycat, Inflagrante Delicto and Out of the Long Dark. Two Nucleus albums were also made for the German artist-owned record company Mood Records in the 1980s: Awakening and Live at the Theaterhaus. After Nucleus folded at the end of the 1970s, it did materialise again in varying permutations, which included the occasional appearance by Brian Smith and John Marshall, but it did not continue as a constant band, more as an intermittently re-awoken phenomenon. Ian Carr, however, was not idle and soon joined a spectacular European-based big band. The United Jazz and Rock Ensemble was probably the greatest Euro big band since the Clarke-Boland Big Band and was underpinned by some great British jazz musicians. Carr was joined in the UJRE by saxophonist Barbara Thompson and husband drummer Jon Hiseman, who Carr had worked with in Neil Ardley’s New Jazz Orchestra (which recorded the legendary masterpiece Déjeuner Sur L’Herbe on the Verve label) in the late ’60s. Also in the UJRE was Kenny Wheeler, who featured on Solar Plexus alongside Harry Beckett, both of whom contributed spectacular solos (a typically selfless gesture by fellow trumpeter Carr). The list of members of the UJRE reads like an international jazz Who’s Who with stellar names such as Albert Mangelsdorff, Eberhard Weber, Wolfgang Dauner, Charlie Mariano and Volker Kriegel. After releasing over a dozen albums (one of their first, Live in Schützenhaus, recorded in 1977, became the biggest-selling jazz album in Germany ever), sadly the UJRE was forced to play its final farewell concerts last year due to the logistics of the band being too difficult to allow it to continue. Carr contributed several compositions to the UJRE’s repertoire including “Hey Day,” “Gone with the Weed” and “Lady Bountiful.” The sumptuous arrangements of these numbers vie very strongly indeed with the original Nucleus recordings. In 1982, Ian received the Calabria (Southern Italy) award for outstanding contribution in the field of jazz and in 1987 he was given Wire magazine’s special award for services to British jazz. 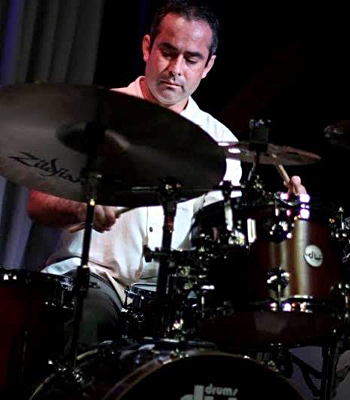 Carr collaborated with the late Neil Ardley (notably on his albums Greek Variations, Le Dejeuner Sur L'Herbe, Kaleidoscope of Rainbows and Harmony of the Spheres as well as the later album Zyklus), and also with Keith Tippett’s Centipede, Mike Gibbs’ big band. 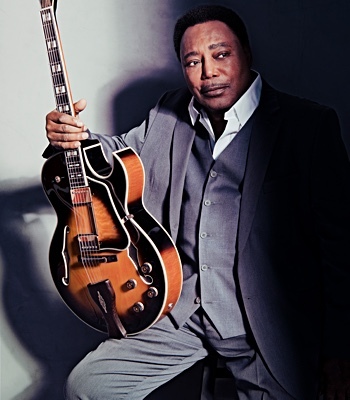 He has also performed and recorded with orchestras led by George Russell and Mike Gibbs. In 1992 Carr recorded the “acoustic” album Sounds and Sweet Airs accompanied by John Taylor on organ. In his last major project, Ian Carr was engaged as musical consultant for the Mike Dibb television documentary on Keith Jarrett. This was a follow-up to his earlier Channel 4 programme on the life of Miles Davis that received a phenomenal 1.2 million viewers in the UK alone - a record for jazz. Carr’s biography of Miles Davis - Miles Davis: A Critical Biography (1982), is considered to be the standard text on modern jazz most outstanding genius. 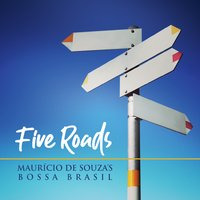 He also wrote Keith Jarrett, The Man and his Music (1992) and was co-author of Jazz, the Essential Companion (1987) The Rough Guide to Jazz (2nd Edition, 2000). Meanwhile Ian Carr’s long out-of-print book on British jazz Music Outside - Contemporary Jazz In Britain (1973) which has been almost as highly sought after as the Rendell-Carr albums, was republished in January 2008 by Northway Books with a concluding updating chapter by Roger Cotterrell. 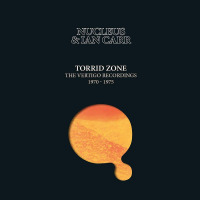 The good news is that with the exception of the two Mood albums, all the Rendell-Carr Quintet and Nucleus albums are now available again for the first time on CD on BGO Records, and Universal reissued on CD the ultra-rare Greek Variations which features several Ian Carr-penned tracks performed by a prototype Nucleus. The band also plays on Neil Ardley’s Kaleidoscope of Rainbows, just reissued on the Dusk Fire label. Ian Carr also appears on the belatedly issued Remmbering Mike Taylor which was again released on the Dusk Fire label and in which Neil Ardley's was arranger and leader. All About Jazz musician pages are maintained by musicians, publicists and trusted members like you. Interested? Tell us why you would like to improve the Ian Carr musician page.